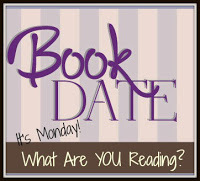 Book By Book: It's Monday 7/23! What Are You Reading? Glad you added Cloud Atlas to your TBR - I really love it - so very clever, thoughtful, and funny. It took my husband longer to get into it, but he's enjoying it, too. 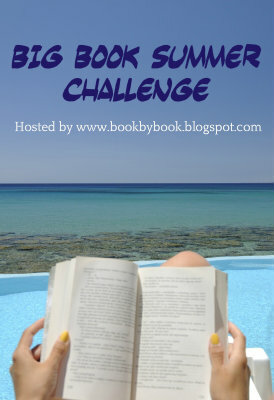 Enjoy your next Big Book! I know what you mean about reunion fun. We had our 50th high school reunion this past weekend. It was great to see so many people I haven't seen for 50 years. I enjoyed Afterworlds too. Come see my week here. Happy reading! Oh, wonderful, Kathy! Glad you enjoyed your reunion. Yes, I am loving Afterworlds so far - just what I was in the mood for - a compelling, fast-paced book. Happy birthday! I’m glad you had a fun trip/reunion. Have a great week! I turned 53 on Friday so we're only 3 days apart! Happy Birthday! Happy Birthday, Helen!! I forgot from last year that our birthdays were so close :) Hope you had a great day! Happy birthday!!! I am so glad you loved Great Expectations the second time around. That is wonderful. I don't like when I reread a book and it doesn't pan out as well the second time. I hope you have a great week! I was just a kid the first time I read it so was thrilled that I enjoyed it so much as an adult! Sue if you can email me at thebookdate(at)gmail(dot)com I'll send you the instructions I received from Beth Fisher and they worked wonderfully for me to get my comments coming from my blog to my email. I love Westerfeld, but haven't read that series yet. I am 2/3rds into Grapes of Wrath, one of my big books. My partner and I were listening to it while on our recent road trip. I didn't want to have to get out of the car. I think I have that audiobook of Great Expectations but just never find time to get to it.